Adam Course of Phoenix Fire Consultancy Ltd delivered a one day Emergency First Aid (Appointed Persons) to 12 members of our company earlier this year. The series of presentations from the introduction through to the summary were delivered in a relaxed atmosphere and were well structured. The information was delivered at an appropriate level for the audience and was highly relevant to our industry and business. The practical sessions were well demonstrated with sufficient time given for each of the course group to continue practicing until they were confident to be able to carry it out in a real life situation. The practical sessions were used successfully to break down the series of PowerPoint presentations and helped to maintain the attention of the group. Throughout the day time was given for questions and answers, all of which proved Adam’s excellent knowledge of first aid and medical training. I would not hesitate to recommend Phoenix Fire Consultancy Ltd and just to add we will be using them again for Fire Awareness training and for Fire Risk Assessments in the near future. 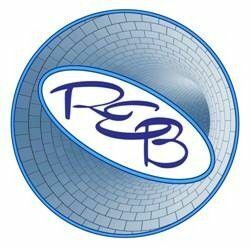 If you would like to contact us to discuss any of the aspects of the training or hear our recommendations verbally please do not hesitate to contact myself or Rebecca Dimmick (Training Co-ordinator) at REB.